hi! i honestly can't believe that it is the weekend before christmas! i have a holiday card to share with you today, as my last post for 2012. i used the elegant reindeer cottage cutz die. then i added a little scrap of white paper to add the effect of snow. 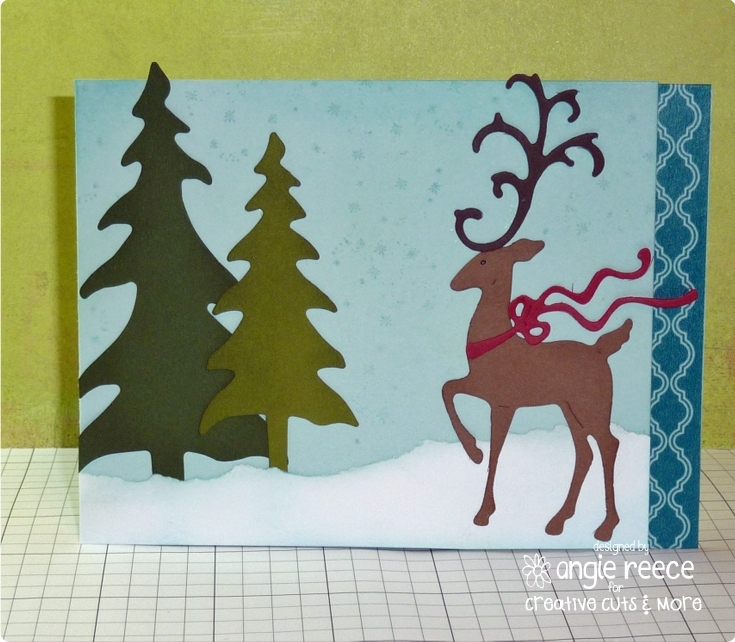 wanted a little color so i did a splash of washi tape on the edge of the inside of the card. stamped some snowflakes and the inside sentiment that says "may your season be merry and bright" with stamps form unity stamp co.
and have a very merry holiday season!